Anonymous Blizzard employees talk about Diablo's rocky development cycle and... WoW Pokemon Go? NEXT | The Queue: What is time? 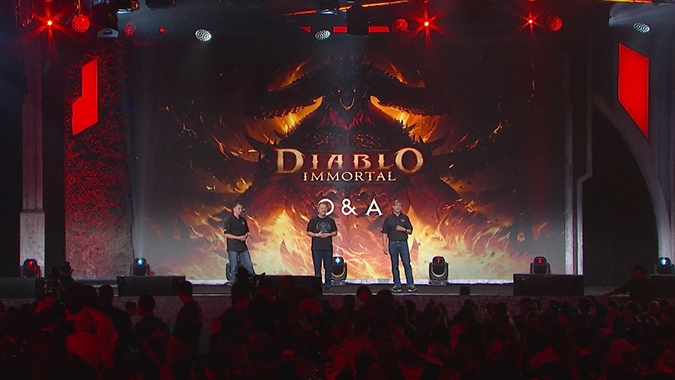 Anonymous Blizzard employees talk about Diablo’s rocky development cycle and… WoW Pokemon Go? Earlier today Kotaku published a lengthy post breaking down everything from Diablo 4 to Pokemon Go for World of Warcraft — from interviews from 16 Blizzard employees wishing to remain anonymous. It’s a lot to digest, and several semi-throwaway statements that may be bombshells — I really did say Pokemon Go for WoW — but here are some of the main takeaways. A big focus of the article is the push and pull between the developers who want to make great games and the investors who control the money. Despite being a great game now, the release of Diablo 3 was downright rocky and the number of boxes sold immediately on release led to the suits getting nervous and allegedly axing a second expansion after Reaper of Souls. As the article notes, if the devs were just left alone that expansion would undoubtedly have already shipped, but instead it’s a graveyard of half-started projects — and disappointed fans. Why isn’t Blizzard talking about Diablo 4? Kotaku speculates that the main reason that we all know Diablo 4 is in active development but they dare not speak its name like Voldemort is because of Blizzard’s graveyard — namely two famous former projects we all knew were in active development, Titan and StarCraft: Ghost. And Diablo 3 itself was the definition of development hell — announced formally in 2008, it wasn’t released until 2012. With that legacy, it’s understandable that even though Blizzard is telling us they’re developing some sort of game-which-must-not-be-named, they’re reluctant to announce it formally. Part of the reason Diablo Immortal didn’t take away from Diablo 4 is because of a totally separate division for innovative creative development called “incubation.” This is the ecosystem Immortal sprang from — not the Diablo dev team. Beyond Immortal, we know former long-time WoW designer Tom Chilton is over there working on something for mobile, and Cory Stockton — who I know as the initial primary developer on WoW‘s battle pet system — is heading up some kind of mobile game combining Pokemon Go and WoW. There are zero details on that. Just oh, by the way, WoWkemon Go. Now, since all these interviews were anonymous it’s important to take this with a grain of salt. Regardless, as evidenced by all the previous paragraphs projects do get shelved or axed along the development path. But speaking as an avid pet battler, oh my god you guys. The full article reveals a whole lot of great behind-the-scenes information from Blizzard, and is really worth a read.